A three day trek gives you just enough time to enjoy a mountain getaway over a long weekend. It’s a perfect initiation to trekking and camping, especially if you are trying to decide if you want to undertake longer treks. You’ll get to spend two nights out in the wild, enjoy a camping experience, and see some spectacular sights. Here is a list of the top 3 day treks in India. This list covers 3 day hikes in Himachal Pradesh, 3 day hikes in Uttarakhand, and 3 day treks in Maharashtra and Karnataka. 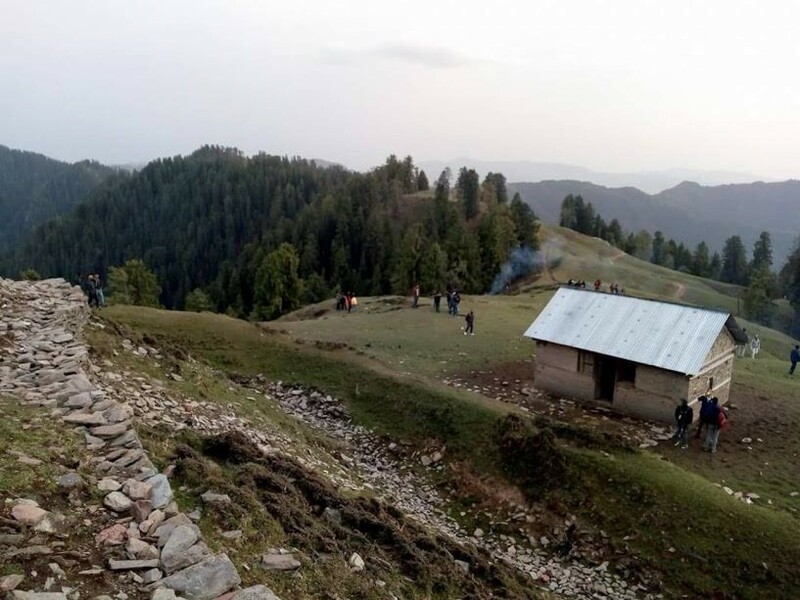 The Nagtibbba trek can be done overnight, but this three day trek lets you enjoy a slower pace, short trekking hours, and two nights of camping, at two different campsites in the mountains. The 3 day trek to Nagtibba begins from Pantwari village, which is a short drive from Dehradun and Mussoorie. 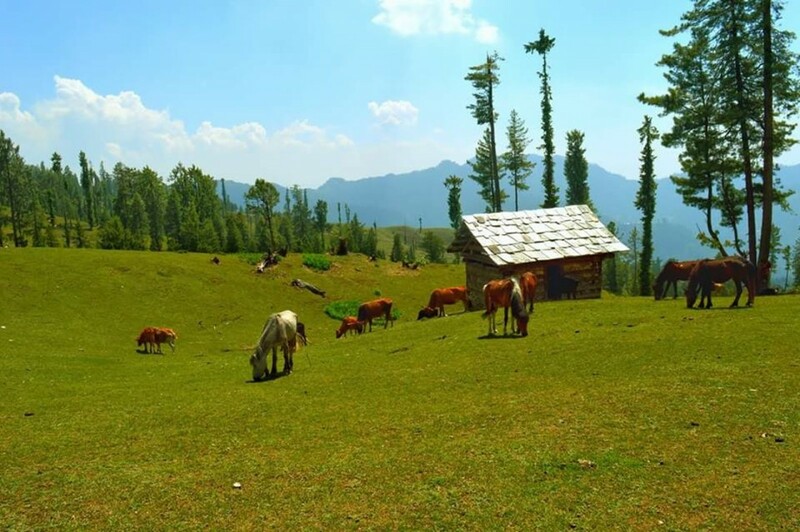 The route to Nagtibba is covered with terraced farms, conifer trees, and glimpses into the local life. Once you reach Nagtibba ridge, you'll get beautiful views of the peaks around you, as well as panoramic views of Mussoorie. The trek takes you up to an altitude of almost 10,000 feet where you can catch glimpses of Bandarpooch and Kedarnath peaks. For those looking for a short 3 day trek in Uttarakhand, the Nagtibba route is a fantastic option. 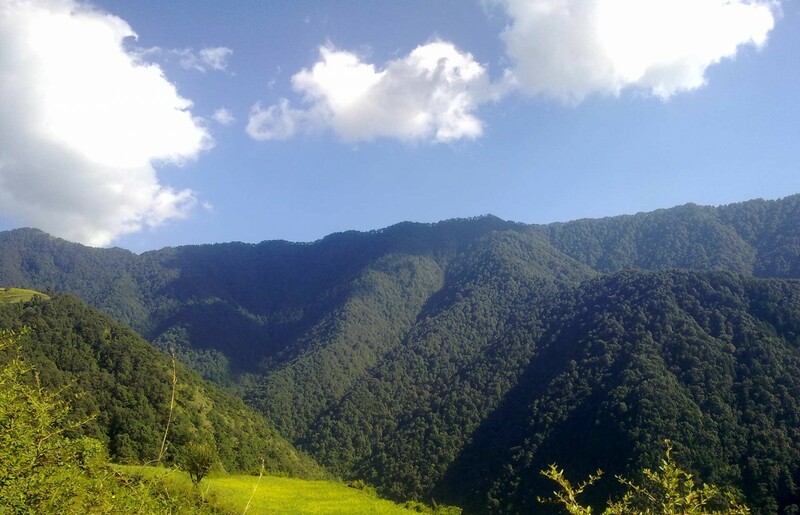 Dayara Bugyal is India’s most beautiful high-altitude meadow, criss-crossed with charming brooks and dotted with wildflowers. The 3 day trek to Dayara Bugyal begins from Barsu, a small village about 6 hours from Dehradun. The first major highlight of the trek is a gorgeous lake called Barnala Tal. You’ll pitch your tents at a stone’s throw away distance from the lake and sleep under the starry nights. During the trek, you’ll be able to see famous peaks like Kala Nag, Bandar Poonch, the Gangotri Massif I and II, and many more. If you’re lucky you will be able to spot the famed black eagle on this trek. 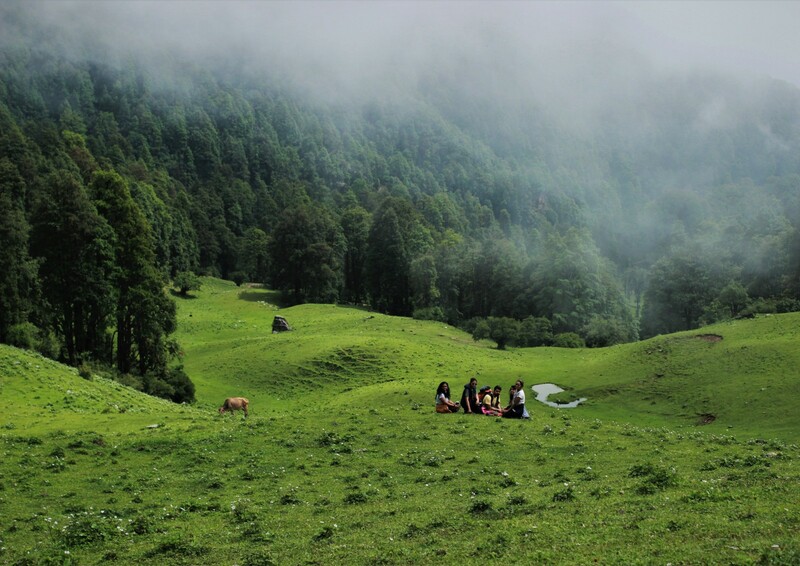 After spending three blissful days in these Himalayan meadows, you’ll never want to come back! Bhrigu Lake trek is a short 3 day trek near Manali, which takes you to the pristine Bhrigu Lake located at an elevation of 14,100 ft in Kullu district, Himachal Pradesh. This is an easy to moderately challenging trek, but in the winter, the last stretch can be tough. On this 3 day trek, you'll walk through apple orchards, pine forests and camp at scenic locations. As you approach Bhrigu Lake, the vegetation thins out and you'll catch your first glimpse of the gorgeous lake, sparkling in the sunshine. Apart from soaking up the views from Bhrigu Lake, you’ll also be able to take a dip in the hot sulphur springs at Vashisht on your way back. Kasol is a backpacker’s paradise in Himachal Pradesh, famous for its hippie culture, mountain views, and friendly people. Kheerganga and Tosh are rustic, quaint villages in Kasol. The 3 day trek to Kheerganga-Tosh is an iconic one, with some of the most scenic views of the Parvati Valley. Barshaini is the start point for the trek to Kheerganga. The trek to Kheerganga takes you through dense forest cover over rickety bridges that criss-cross the Parvati river. You'll spend a night at Kheerganga, enjoying the chilly evening with a dip in the healing hot springs. The next day, you return to Barshaini and set off in another direction towards Tosh. The trail lies at the foot of towering snow-capped mountains. After a fun day of trekking, you’ll retire to cozy tents or homestays in Tosh. This trek makes for a perfect weekend getaway and is one of the top 3 day treks in Himachal Pradesh. Kheerganga is the last village in the Parvati Valley of Himachal Pradesh. Chalal is a small village accessible via a short hike from the picturesque town of Kasol. The 3 day trek to Chalal and Kheerganga starts with Barshaini, Kheerganga and Kasol. You'll also visit the serpent-shaped Rudra Nag waterfall and take a dip in the natural hot springs of Kheerganga. One of the highlights of this trip is the gorgeous campsites: the Kasol campsite on the banks of the gurgling Parvati river, and the Kheerganga campsite, set in a meadow with spectacular views of the mountains all around. This 3 day trek to Triund in Kangra Valley is a short but gorgeous adventure in Himachal Pradesh. The trek begins from Dharamkot near McLeodganj. You’ll trek up 9 kms to Triund, negotiating an easy trail that can be covered in 4-5 hours. You’ll pass deodar, oak and rhododendron forests before you get to the summit at Triund, where you’ll be spending the night. From here, you get 180-degree views of the Dhauladhar Himalayas, Pir Panjal ranges, Indrahar Pass, and the entire Kangra valley. You’ll pitch your tents in the hills of Triund and sleep underneath the blanket of stars. The next day, you’ll trek uphill to reach Laka Got, a glacier that is accessible after you cross a moraine-strewn path. You’ll get to explore the glacier here, and if the weather allows, will spend some time near the temporary shepherd camps here. If you’re looking for a snow experience, this is also one of the top 3-day winter treks in Himachal Pradesh. The Beas river originates from Beaskund lake, which is said to be the spot where the Rishi Beas visited to bathe and meditate. The 3 day trek to the lake is one of the prettiest in Himachal Pradesh, and also one of the most popular. It is not difficult, and takes you deep into the mountains to enjoy a true Himalayan experience. This 3 day trek to Beaskund begins at a charming small village called Dhundi. You’ll trek from here to the high altitude meadow of Bakarthach, where flowers carpet the floor and wild strawberries grow. From the campsite, you'll get views of iconic peaks like Hanuman Tibba and Shitidhar. The next day, you’ll trek past rumbling glaciers and through meadows dotted with wildflowers to reach Beaskund. Located at an altitude of 9,600 feet, Kareri Lake is a shallow, freshwater lake in the Dhauladar mountain ranges that has a fairly easy 3 day trek route. This trek to Kareri Lake begins from McLeodganj. You’ll hike over mountain trails, alongside the Niyund river, and camp at the villages of Rioti and Kareri before arriving at Kareri lake. Upon reaching Kareri Lake, you'll have unhindered views of the Dhauladhar range. You’ll also visit the temple of Lord Shiva, located on a hilltop overlooking the still waters of the lake. Legend has it that the Pandavas created this lake, which they named after the sage Prashar. The 3 day trek to Prashar Lake is easy to moderately challenging, making it perfect for first-timers and families looking for their first Himalayan trek. The 3 day trek to Kareri lake begins in the beautiful Kullu district. You’ll climb through forests, up a snowy trail to spots from where you'll get magnificent views of Dhauladhar, Pir Panjal range and Kinnaur range. You’ll cross small rivulets and walk through charming villages en route. Thachi Valley is perched between the mountains that overlook the Great Himalayan National Park. The Chanjwala peak, the mainstay of this 3 day trek, is a 9,800 ft mountain peak that is blanketed with crisp snow in the winter. On this three-day trek , you'll hike to Thachi Valley first, where you’ll visit Bithu Narayan temple, trek to the Hadimba peak, dip your feet at the Ashu Alli river stream and hike across the rolling meadows of Sapona Dhar and Sheeta Dhar. After a comfortable night in cozy tents, you’ll hike to Chanjwala peak over a relatively easy trail. Here you’ll enjoy breath-taking views of the rolling hills that dominate the horizon. This is one of the lesser-known 3 day treks that Himachal Pradesh has to offer. Gaun Beed is a towering waterfall that is hidden at the heart of Thachi Valley. Near the waterfall is the namesake Gaun Beed plateau, a great vantage point from where you can catch bright views of the valley. On the 3 day trek to Gaun Beed, you'll make your way through dense wilderness to stumble upon a hidden waterfall. You'll also hike to the Gaun Beed plateau, trek to Hadima peak, visit the Bithu Narayan temple, dip your feet into the Ashu Alli water stream and spend some time at the Ropa pond. You'll spend the night in tents surrounded by apple orchards. For those looking for a short 3 day trek in Himachal Pradesh, the treks such as Gaun Beed in Thachi Valley are a fantastic option. Located on the border of Goa and Karnataka, within the Bhagwan Mahaveer Sanctuary and Mollem National Park, the Dudhsagar Waterfall is one of the tallest in India. This four-tiered waterfall cascades down from a height of over 1000 feet, sending a spray of mist in all directions and churning the water below to milky white, hence the name Dudhsagar, meaning 'sea of milk'. This 3 day adventure trek to Dudhsagar Waterfall takes you across state lines, from Maharashtra to the border of Karnataka and Goa. You'll have all the fun of an overnight train journey, and will arrive in the morning in the midst of the tropical forests of Kulem. The trail leads through a forest filled with the calls of birds and wildlife, until you reach the waterfall. En route, you'll cross streams, scramble over slippery stones, and walk along railway tracks and dark train tunnels to get to the waterfall. For photographers and trekkers alike, this 3 day trek to Dushsagar will give you memories of a lifetime. Located deep inside the forests of the Mhadei Wildlife Sanctuary, Tambdi Surla waterfall is an off-beat trekking destination in Goa. Tambdi Surla is a gushing waterfall that is truly magnificent in the monsoon, but is a fun trek during the rest of the year too. On this 3 day trek to the Tambdi Surla Waterfalls, you’ll walk along winding, rocky pathways that will meander uphill through a dense forest. You'll hop over intersecting river streams and climb over boulders, as you explore a little-known paradise of nature. The waterfall flows down a staircase of high mountain cliffs, and you’ll get to take a dip in the small pools that form here. On this trek to the Tambdi Surla Waterfalls, trek over winding, rocky pathways that will meander uphill through a dense forest. You'll hop over intersecting river streams and climb over boulders, as you explore a little-known paradise of nature. As you get closer to your destination, you'll hear the familiar sound of a waterfall flowing through the forest. Upon reaching the waterfall, you can bathe under its cascading waters as they flow down over a staircase of high mountain cliffs. Sandhan Valley has some of the most dramatic landscapes in Maharashtra. It is a rock-carved valley that winds through the Sahyadris, with high stone walls that block the sunlight even during the hottest months. It is surrounded by some of the tallest peaks and forts in the region, such as Alang, Madan, Kulang, Ratangad, Ajoba and Kalsubai. The 3 day trek in Sandhan Valley is considered to be one of the most difficult treks in the Sahyadris. It involves negotiating rocky terrain and narrow paths between rock surfaces, as well as some stretches of rappelling. You will also have to wade through natural pools that are 4-6 feet deep. However, the experience of camping here is fabulous, with a crackling bonfire and cozy tents waiting for you. This is a strenuous trek, and is not recommended for beginners. Located in the Kalsubai range of the Western Ghats, the trio of forts of Alang-Madan-Kulang stand tall at over 4800 feet each. On this challenging 3 day trek, you’ll explore three forts, negotiate steep rocky patches, craggy rock faces and walk through the dense forests of the Sahyadris. En route, you'll get stunning views of the Kalsubai peak, and the forts of Ratangad, Harihar and Harishchandragad from Madangad and Kulangad. In the evenings, you'll relax around a bonfire and you'll get to sleep in a cave at Madangad. This trek is only recommended for seasoned trekkers due to the long hours of trekking on difficult terrain. This challenging trek takes you to the summits of the triple forts of Alang, Madan and Kulang, 4900 feet above sea level. You'll negotiate steep rocky patches, craggy rock faces and the dense forests of the Sahyadris to discover these ancient forts. En route, you'll get stunning views of the Kalsubai peak, and the forts of Ratangad, Harihar and Harishchandragad from Madangad and Kulangad. In the evenings, you'll relax around a bonfire and you'll get to sleep in a cave at Madangad. NOTE: The Alang Madan Kulang trek is one of the toughest treks in Maharashtra. It involves long hours of trekking each day, as well as some steep sections that require elementary rock climbing. This trek is only recommended for trekkers with prior trekking experience. Kodachadri Peak stands tall at an altitude of 4406 feet. Kodachadri is also called the Cheerapunji of the South, as it receives the most rainfall in the district. It's a 3 day trek that combines trekking, camping, and a fun session of kayaking too. You’ll start with a hike through the green forests, stopping en route to see Hidlumane waterfall. After a night of camping, you’ll proceed to a river to try your hand at kayaking. You’ll also stop at Nagara fort on your way back. It’s the perfect weekend getaway for a gang of adventurous friends! Kumara Parvatha, also known as Pushpagiri, is the third highest peak in the Western Ghats of Karnataka at a height of 5616 feet above sea level. On this 3 day trek, you'll be covering two peaks in one climb: Kumara Parvatha and Shesha Parvatha, climbing through lush greenery with spectacular views all around. You'll also be visiting Mallali Falls on your way back. The prominent snout peak and the steep ascent make this a tough trek, but it offers great views of peaks layered one behind the other. Mullayanagiri is the highest point in Karnataka. The trail goes through the forested Bhadra Wildlife Sanctuary, which is home to elephants, tigers and leopards. You’ll negotiate a steep climb and rough edges to Bababundagiri and soak in mesmerising views from this hill top. You will sleep in comfortable homestays and also chance upon a visit to the Belur Temple. This moderate trek is most ideal for someone seeking an adventurous getaway with gorgeous views of the best hills in the southern Sahyadris. Summit the highest peak in Karnataka, Mullayanagiri, trekking along a serpentine forest trail, through coffee estates and lush meadows. Explore a small temple and ancient caves that are perched on the peak of this misty mountain and take a splash in the Buttermilk Falls on your way down. You’ll negotiate a steep climb and rough edges to Bababundagiri and soak in mesmerising views from this hill top. You will sleep in comfortable homestays and also chance upon a visit to the Belur Temple. This moderate trek is most ideal for someone seeking an adventurous getaway with gorgeous views of the best hills in the southern Sahyadris. Nishani Motte is the lesser known mountain peak of Talacauvery in the Branhmagiri range of the Coorg region. On this hill 3 day trek in the southern Sahyadris, you will trek through dense forests, swaying paddy fields, green coffee estates and a wildlife reserve. You will cross fallen trunks, covered in moss and even scramble over slippery rocks. You will enjoy unhindered views of the layering hills of Coorg, in addition to the Cauvery River that flows along, making this a postcard-perfect scenery. After spending the night in comfortable tents amidst the nature, you’ll head back to the city. On this hill trek in the southern Sahyadris, you will trek through dense forests, swaying paddy fields, green coffee estates and a wildlife reserve. You will cross fallen trunks, covered in moss and even scramble over slippery rocks. You will scale up to the top of Nishani Motte on a steep trail and you are rewarded with unhindered views of the layering mountains and hills of Coorg, in addition to the Cauvery River that flows along, making this a postcard-perfect scenery. Sample some freshly picked coffee, straight from the estate and you will also enjoy a night under the starry sky. 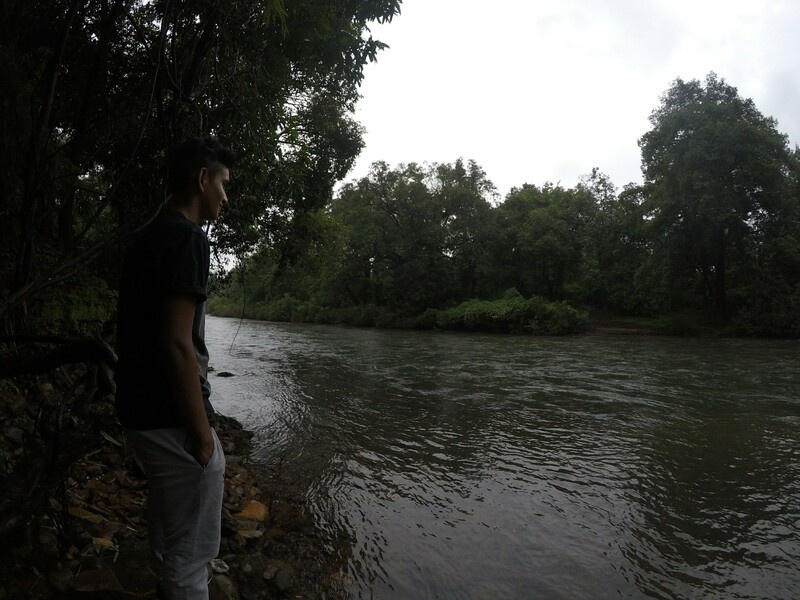 This is a perfect weekend getaway for those looking for an adventure in the untouched hills of Coorg. Personal expenses including telephone calls, tips, portage charges, etc. Tadiandamol, meaning 'large mountain’, is the highest mountain range in Coorg district. This moderate 3 day trek takes you through the Shola forests, sparkling streams, waterfalls and woodlands. You'll stay in simplistic homestays and spend the next day enjoying a thrilling 4 km rafting adventure in Grade 3 rapids at Kushalnagar. On your way back, you'll also visit the famous Golden Temple which is a small Tibetan shrine for Gautama Buddha. This is a perfect weekend getaway for those looking for an adventure in the untouched hills of Coorg. Tadiandamol, meaning 'large mountain' stays true to its name and is a lesser known trail takes you through the highest mountain range in Coorg district. This moderate trek takes you through the Shola forests, sparkling streams, waterfalls and woodlands up to a height of 5,740 feet with panoramic views of the Western Ghats. You'll stay at a homestay and spend the next day enjoying a thrilling 4 km rafting adventure in Grade 3 rapids at Kushalnagar. On your way back, you'll also visit the famous Golden Temple which is a small Tibetan shrine for Gautama Buddha on the way back you to the city.